Hey all! This is Tanya. 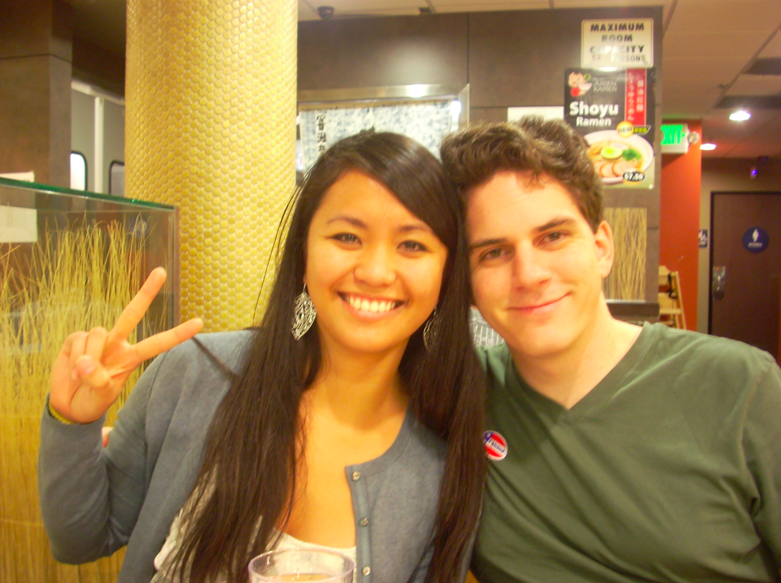 We took our third ramen run to Rowland Heights. This place is totally surrounded by multi-asian shops, really cute and colorful. The place we ate at was Ajisen. The place was really quaint and modern, the kitchen was open for all to see (really neat!). The choice on the menu had a good variety, the service was decent and quick. 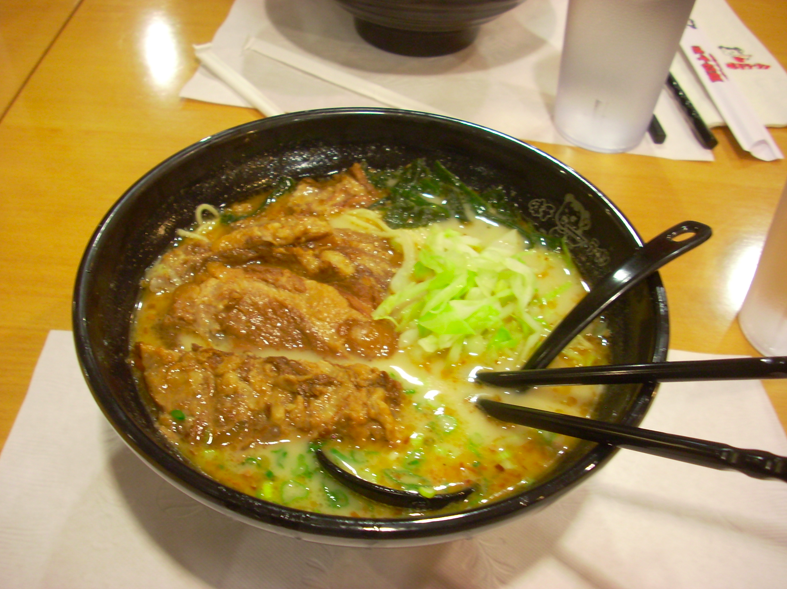 The ramen was a bit on the oily and salty side and there was plenty of meat. mmmmm. The noodle had a lot of flavor and texture. Hellooo! Joan here. 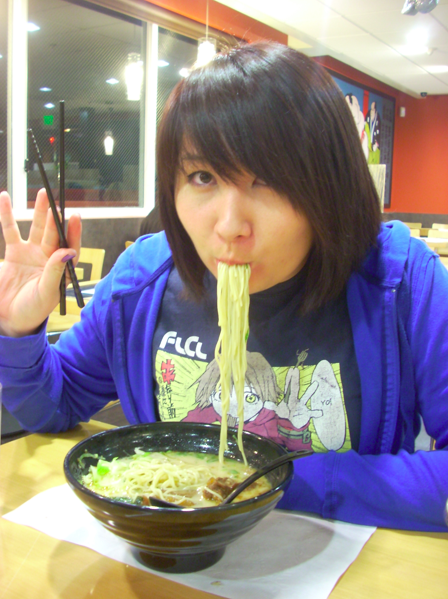 I was very happy to find ramen houses within closer proximity. We live in the Inland Empire so Rowland Heights was not that bad of a drive. 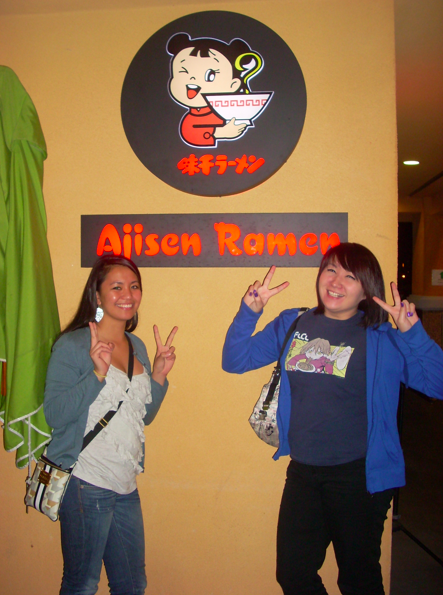 Ajisen Ramen was pretty good and their ramen special, the Ajisen ramen, was actually cheaper than most ramen places. Only $6.50! 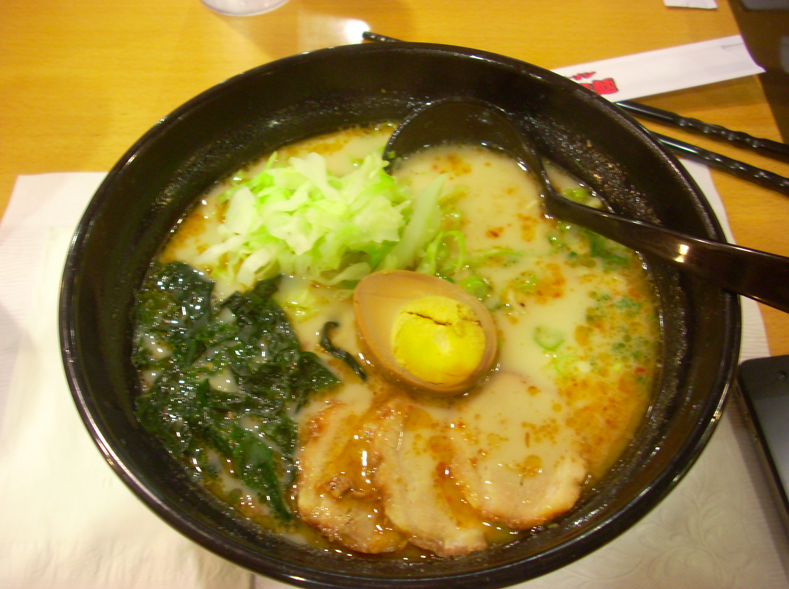 It was the traditional ramen, with pork broth, thin slices of pork, noodles, boiled egg, cabbage, and seaweed. I guess more places make ramen with cabbage in it, like Naga Naga Ramen. Like Tanya, I do think the ramen was too oily, I prefer mine with less oil. But it was good. It’s hard for me to really compare which ramen is the best yet, each ramen house adds their own unique flavor to it. Although, we gotta say, the broth had more pork to its flavor. More swine-like. Just kidding. I don’t think I even wanna know what “swine-like” even tastes like. 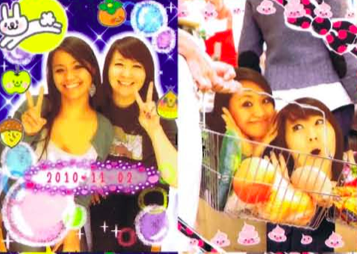 I guess what we’re aiming for in this adventure is to find our favorite ramen house and the experience of being there. It was really cool having different shops to check out. So we really like this place so far. 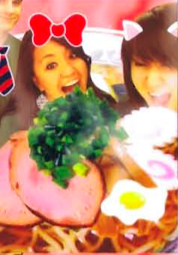 After ramen, we stopped by this Japanese photo booth called “Cue!” and took some fun pictures. 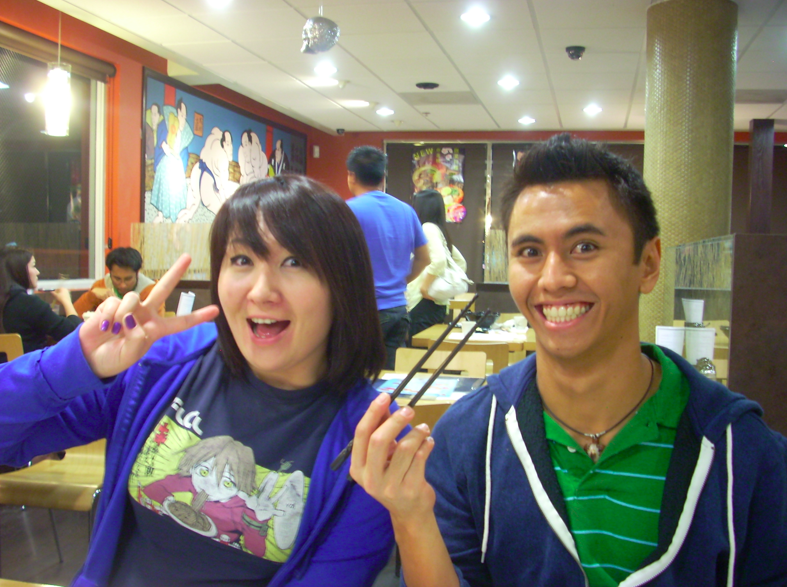 Then we had dessert crepes at a place called Genki Living. It was a very asian evening. Tanya sportin a Fooly Cooly shirt. I know this blog isn’t as long and detailed as the previous ones. 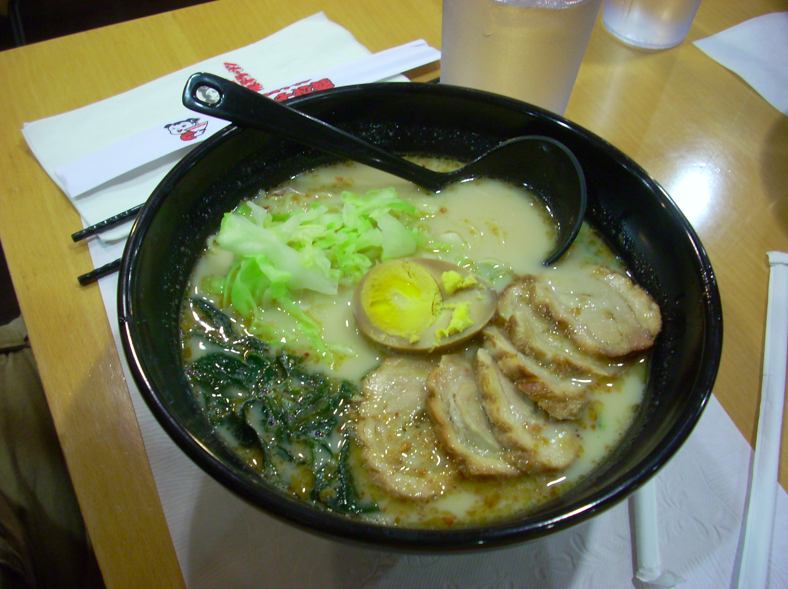 But we weren’t really at the ramen place for that long and the ramen we’ve had so far are very similar. Just unique in their own way. The big difference (other than the use of toppings) we notice is the way the broth taste. Which is very important! Great thing is, we haven’t been to a bad ramen place yet. Ajisen Ramen was very enjoyable, it’s close by (for us) and the area is pretty fun. Thanks for reading!